04/01/2019 - Rei wa is the New ERA in Japan. What it means? 02/17/2019 - Which Hot Spring Japanese Visited Most in 2018? 12/16/2018 - What to Do in Sendai, Miyagi and the Local Tour Guide! 10/23/2018 - No Help for Trapped Two Boars in Japan? 08/31/2018 - Why Ticket Re-seller Always Get Concert ticket in Japan? 08/31/2018 - What is Sumachike by ePlus, tixeebox/ Smartphone Ticket system in Japan? 08/24/2018 - Tattoo in Japan: Almost 60% of the venue with Public Bath Ban Tattoo But More Change to Come for 2020! 08/14/2018 - Comiket in Tokyo, Japan in 2019 will be 4 days! 08/12/2018 - Japan Voice Actor News: Chinatsu Akasaki Got Married! 08/11/2018 - Halloween Cosplay Parade in Ikebukuro 27, 28 Oct, 2018!! Application deadline/form here! 08/10/2018 - Comiket in Tokyo, Japan. What is it? What you need to be careful with? 08/09/2018 - LIST OF FRIEND/FAMILY RENTAL SERVICES IN JAPAN, WHY Normal? 08/07/2018 - LIST OF JAPANESE USED (CLASSIC) SPORTS CAR RENTAL SHOPS IN JAPAN? 08/07/2018 - LIST OF JAPANESE USED (CLASSIC) SPORTS CAR SHOPS AND HOW TO BUY CLASSIC CARS FROM JAPAN? 08/07/2018 - List of Custom Car Part shops in Japan and How to Buy the Car Parts? 08/01/2018 - How to Get Chichijima / Hahajima islands, where to stay? 07/16/2018 - Japan Tattoo: Where You Can NOT Go, Where Can You Go with Tattoo in Japan? 07/12/2018 - How to Get Shibamata in Katsushika, a home town of Tora-san and What to Do? 07/05/2018 - How to Buy Suica in Japan, how to get refund? How to take bullet train? 06/16/2018 - Can Foreigner Buy a Property in Japan? Best way to find a great property in Japan. 06/12/2018 - HOW TO GET CAT ISLAND TASHIROJIMA IN JAPAN And Private Tour! 05/14/2018 - What to do in Urawa in Saitama? How to get a big public bath "Kenko land"? What is it anyway? Where to eat? 05/13/2018 - WHAT TO DO IF YOU ENCOUNTER BEAR IN JAPAN? 05/10/2018 - Who is MUCC? How to join MUCC Fanclub? 05/10/2018 - WHO IS KAMEN-JOSHI (MASKED GIRLS) AND 2018 WORLD TOUR PLAN? 05/08/2018 - How to find Cosplay event near you? 05/06/2018 - A new animation event " AnimeJapan 2019" announced! 05/06/2018 - How to buy Concert ticket in Japan? 03/07/2018 - WHERE EXACTLY IS BOYS LOVE CAFE IN JAPAN? WHAT IS BOYS LOVE CAFE? 03/01/2018 - When and where Cheery blossom full on in Japan in 2018? 02/04/2018 - How to Get a Job in Comics Industry in Japan? How to become "Mangaka" in Japan? 01/02/2018 - Sailor Moon Ice cube tray on sale. 10/19/2017 - Old Nakasendo walk super walk from Tokyo to Kyoto. How to Walk from Tokyo to Kyoto? Where to Stay? What to Eat? 10/06/2017 - WHERE CAN YOU VISIT A Real SAKE FACTORY NEAR TOKYO? 05/18/2017 - Where Can You Fly Drone in Japan? List of Drone fields in Japan. What are the drone rules in Japan? 04/01/2017 - GREAT ROMANTIC HOTELS in BALI, Indonesia - What You Need to be Careful with! 03/30/2017 - Where is Detective Conan cafe and Conan museum? What is Detective Conan, who created it? 03/27/2017 - Useful Information list for Japan Trip by Category! 03/12/2017 - Spirited Away Piggy Bank on sale - the No Face / Kaonasi /Faceless Eat Your Money! 03/04/2017 - Disappearing Communities in Japan - Not Completely Bad News. Property Get Super Cheap. 02/26/2017 - Snake and Reptile cafes in Tokyo, Osaka etc. - how to get there and how much? 02/26/2017 - Penguin Bar Ikebukuro, Tokyo- how to get there and how much? 06/08/2016 - Where Can You Buy Kimono Online? 08/21/2015 - Inside Popular themed-love hotels in Japan. Why so many Love hotels in Japan. 08/15/2015 - New Tattoo rule for Public bath in Japan? 05/20/2015 - Real Food looking items from Japan, Sushi, bread! 12/19/2013 - A new animation event " AnimeJapan 2014" announced! 11/19/2013 - New Visa System for Japanese Chef Wanna Be from Overseas( under Consideration)! 10/26/2013 - Mt. Fuji illumination in Nagashima Land, Mie- how to get Nagashima Spa land and where to stay? 10/24/2013 - Anime Character Wine on sale! 10/13/2013 - Goya Snake Found in our garden! 10/09/2013 - Onegai Kaeru Facebook 500 fans! 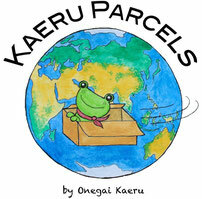 09/21/2013 - Onegai Kaeru T-shirt winner announced! 09/21/2013 - Eating Bubble from the Toilet Basin? 05/14/2013 - One Piece, Dragon Ball, Naruto Weekly Jump Comic Theme Park open 11th July, 2013 in Tokyo!!! 05/13/2013 - Ansatsu Kyoshitsu/Assassination Classroom by Yusei Matsui Biggest Seller of 2013? 03/24/2013 - Lake Kawaguchi, One of the five lakes around Mt. Fuji dried up, a sign of earthquake or Mt. Fuji erupting? Hopefully not! 03/14/2013 - Which animation character most popular in Japan? 02/09/2013 - Amnesia Game Available on Mobilephone! 02/07/2013 - Arase Dam Curry Rice in Kumamoto!! 02/06/2013 - Warm Water Toilet Seat in all public toilets? Wakayama Prefecture tries!! 02/04/2013 - Manga Festival in Singapore in 2013!! 01/30/2013 - Hello Kitty Shrine Closed Down in Yamanashi! 01/29/2013 - Evangelion Special PENTAX Q10! 01/28/2013 - A New Sailor Frog iPhone case released! 01/27/2013 - Domo-kun Game Apps! 01/27/2013 - Hetalia Beautiful World starts! 01/26/2013 - Amnesia Cafe Open in Japan! 01/26/2013 - Hay fever, Watch out for this spring in Japan!! 01/24/2013 - Dragon Ball Z KFC items!! 01/23/2013 - Onegai Kaeru Copy site found!! 01/21/2013 - World Sushi Cup Japan 2013!! 01/19/2013 - BLEACH 4 Figures Set!! 01/19/2013 - Naruto and Ghibli foods in real? 01/18/2013 - New Rental Office with CATS in Tokyo!! 01/16/2013 - Geisha Mobilephone Case!! 01/15/2013 - Pretty Cure Dance Game on Wii!! 01/15/2013 - Hunter x Hunter Licence necklace!! 01/15/2013 - 2012 Best Single Songs from J-pop/rock ( of small labels)!! 01/15/2013 - Limited edition Hatsune Miku Walkman from Sony!! 01/15/2013 - Anti-Theft Lunch Bags!! 01/15/2013 - Spice up your work! 01/15/2013 - SADIE (aka SADI-chan) from One Piece! Portrait Of Pirates LIMITED EDITION!! 01/13/2013 - Free Manga! JUMP BOOK STORE Android ver. released!! 01/12/2013 - Gucci and JoJo's Bizarre Adventure!! 01/10/2013 - ONE PIECE FILM Z Special Figures!! 01/01/2013 - One Piece Store sell Lucky Bag for 2013!! 12/31/2012 - 16 title Animation on Nico Nico Douga from 1st of Jan, 2013(JST)! 12/30/2012 - A New Animation by Lupin III's Monkey Punch for 2013!! 12/29/2012 - DEVIL SURVIVOR 2 the ANIMATION Trailer!! 12/29/2012 - IS Infinite Stratos Special All Night Event in Spring 2013!! 12/28/2012 - Evangelion: 3.0 You Can (Not) Redo Free Gift from 29th of Dec, 2012 and 12th of Jan, 2013!! 12/22/2012 - Macross real size 1200 meters SDF-1 Macross via AR at Osaka Exhibition!! 12/21/2012 - Fuse Blu-ray and DVD on Sale Next Spring! 12/20/2012 - ONE PIECE FILM Z record sales in 2012!! 12/18/2012 - Manga Translation Battle 2012 winner!! 12/16/2012 - Totoro Sake cap and Glass on sale! 12/15/2012 - Yuichi Ito's New Short Film Harbor Tale roadshow in Yokohama!! 12/14/2012 - Wolf Children Blu-ray Disc and DVD on sale Feb, 2013!! 12/14/2012 - Future Kyoto animation HAL be released in June, 2013!! 12/13/2012 - New Ghibli Movies for Summer and Fall in 2013! 12/13/2012 - New Robot animation Majestic Prince PV out 12. Dec, 2012!! 12/12/2012 - Nekomonogatari “Cat Story (Black)” streaming reserved by 40,000+ people!! 12/11/2012 - Dragon Ball Z figures!!! 12/11/2012 - Masked Rider Jacket on sales!!! 12/11/2012 - New Frog Found in Japan!! 12/11/2012 - New Naruto Ending Theme Song 7!! 12/05/2012 - Hakuoki drama CD on sale Dec, 2012! 12/04/2012 - Dragon Ball new movie in 2013 after 18 years! 12/01/2012 - Japan Post will sell Heidi,Girl of the Alps Stamp on 23rd of Jan, 2013! 11/29/2012 - Girls und Panzer Anglerfish Festival in Ooarai, Ibaraki!! 11/29/2012 - A big and great change with Weekly Shonen Jump Alpha from 2013!! 11/29/2012 - Tezuka's Black Jack most popular among medical doctors in Japan! 11/27/2012 - New Smile Pretty Cure movie over 10mil visitors! 11/26/2012 - Cute One Piece character set! Luffy, Zoro, Sanji, Usopp, Nami, Chopper, Robin, Franky, Brook! 11/26/2012 - Royal Rainbow Burst! Smile Pretty Cure! Royal Clock toy on sale! 11/25/2012 - A New Lupin the Third Another page Blu-ray Disc and DVD be on sale 20 Feb 2013! 11/23/2012 - Hatsune Miku cosplay set availble! 11/22/2012 - Pokémon become local characters threat to "Yurukyara" Hikonyan and Kumamon? 11/21/2012 - Macross Karaoke room in Tokyo! 11/21/2012 - Cardfight!! Vanguard on Malaysian TV! 11/20/2012 - JoJo's Bizarre Adventure TV series DVD English sub available!!! 11/17/2012 - Manga and Mercedes Benz Next A Class! 11/15/2012 - Evangelion: 3.0 You Can (Not) Redo ice makers and chopsticks! 11/14/2012 - Cosplay Parade in Ikebukuro 17th Nov, 2012!! Application deadline/form here! 11/13/2012 - Lupin the Third real size figures!! 11/13/2012 - Pokémon My pose Chibigurumi dolls! One of the cutest from 2012!! 11/13/2012 - Smile Pretty Cure Mask collection! 11/09/2012 - Space Battleship Yamato 2199 on construction site signs! 11/07/2012 - Darkness Five from Ultraman ZERO Fight on sales! 11/07/2012 - Naruto web exclusive Mask Collection　Naruto Uzumaki! Kakashi Hatake! Sasuke Uchiha! 11/06/2012 - One piece Laboon piggy bank!! 11/06/2012 - Gomora, a real leather figure on sale!! 11/05/2012 - Initial D new DVD series come out Jan 2013! 10/31/2012 - Do you know “Brave hearted Yoshihiko and the devil’s castle”? 10/31/2012 - No more Umizaru movie with Hideaki Ito? 10/30/2012 - JoJo’s Bizarre Adventure animation series started! 10/26/2012 - Kamen Rider Wizard (may) come to your home over X'mas ( possibly by a train)! 10/16/2012 - Keep your drink hot this Winter! 09/26/2012 - Free pants to the people! 09/20/2012 - Listen up! Beer friends. Frozen Beer Glass on Sale! 09/14/2012 - Limited-Edition Pikachu Yellow Nintendo 3DS LL Coming to Japan! 08/21/2012 - Welcome to our service-launch-parteyy!